Loving Pet Parents committed to canine and feline longevity. Rodney Habib is perhaps the most easily recognized Pet Parent in the modern epoch, due to his establishing the world's fastest growing pet health Facebook page, called Planet Paws. His work as a digital artist, social influencer, film maker, award-winning blogger, and lecturer, has afforded him the opportunity to interface with Pet Parents across the globe, and most importantly, their furry friends. As a two time Tedx presenter, and director of the Dog Cancer Series documentary, Rodney advocates passionately on behalf of cats and dogs, in order to offer them the best chance to live long and healthy lives. Paws For Change Foundation is very much an expression of the deep caring and love that Rodney has for our canine and feline companions. Dr. Becker is the most followed Veterinarian in the world, as a result of her common sense and integrative approach to addressing disease and re-establishing well-being in ill pets. Dr. Becker is also a federally licensed wildlife rehabilitator by the U.S. Fish and Wildlife Service, and as part of her practice, rehabilitates injured, orphaned and endangered species. Daniel Orrego is one of the founders of KetoPet Sanctuary and Epigenix Foundation, which advances scientific inquiry in both canine and human models to better understand metabolism and disease, pursuant to addressing obesity, cardiac disease, diabetes, cognitive decline and cancer. Additionally, Daniel has worked in Research & Development at Quest Nutrition, in evaluating the use and implementation of novel ingredients, the biological impact of unique food substrates, and developing performance and therapeutic product lines for both scientific research and a general consumer. Susan is a consumer advocate and regulatory specialist, whose work in the field has brought to light the nuances and details of how the pet food industry governs the creation and distribution of commercial foods for companion animals. Her work has helped many Pet Parents gain a deeper insight into how foods are manufactured, what ingredients are used and under what conditions, as well as the impact that regulatory law has on consumer choice. 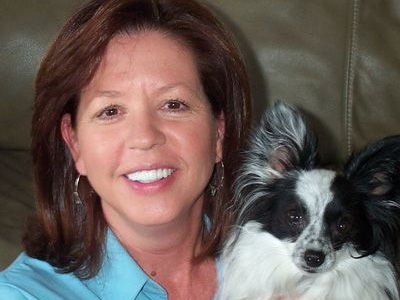 Susan maintains a great affection for birds, cats, and dogs! We love to connect with our community! To learn more about booking Rodney Habib, Dr. Karen Becker, or Daniel Orrego for a speaking engagement, click here.